I’ve seen a lot of variations on stuffing strawberries but what about using raspberries instead. 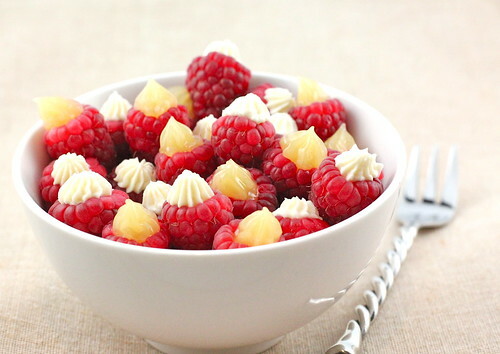 Here are a couple of tasty treats to dress up your raspberries. This delicious treat is lemon curd and cheesecake filling. This simple treat is made by stuffing the raspberries with white and dark chocolate chips. Next PostCreative food for Father’s Day and a Great Freebie!